See for yourself what stories are evoked for you and, if you can, come and compare them with those of the photographers, who will make themselves available on the afternoon of Saturday 27th April at Espacio Gallery. The artists have been invited to present artworks exploring an array of unlimited possibilities. Unconfined interpretations, styles and genres will excite your senses and perhaps, lead you to reflection. The exhibition brings together an exciting range of artworks showcasing painting, printmaking, photography, installation, 3D and mixed media. Human IEU brings together eleven artists working in a variety of mediums in a group show - FLUID. The work they’ve created in response to this theme challenges, provokes and dynamically engages the viewer in a collection that incorporates drawing, painting, video, sculpture, photography and performance. While to some the word FLUID may conjure up the gender fluidity emerging in today’s culture, to others FLUID suggests a method of working or a medium in which to work. Remembering that the human body is 60% water, we’re asking the viewer to think about the importance of fluid to the human experience. ‘It has been both challenging and stimulating to work with such a diverse group of artists, and we are excited to share this unusual amalgam of styles and approaches’. Human IEU is an artists’ collective that meets weekly to create work derived from the human form. 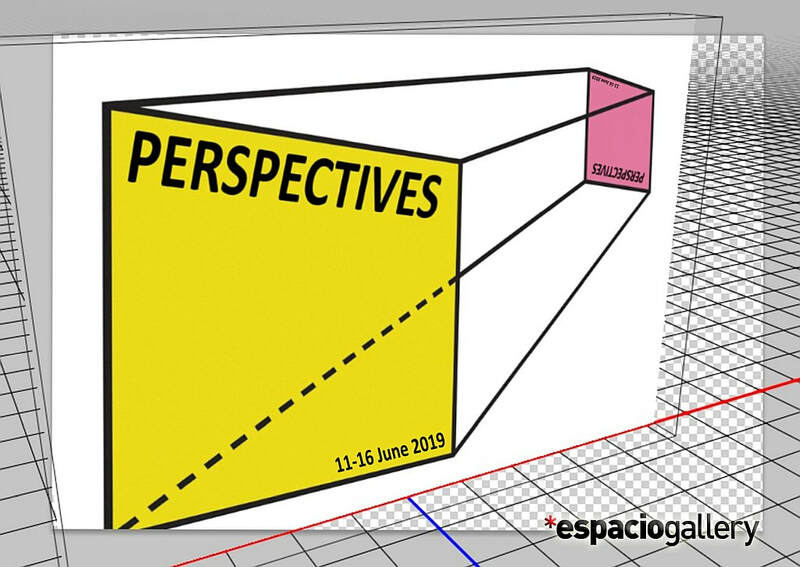 Perspectives is a vibrant exhibition presented by a group of national and international artists. Each artist creates art through their own personal prism. Their themes range from the personal to the seeking of the universal. Their styles, materials and techniques vary but all offer us a unique artistic expression and strive to show us the world from their own unique perspective. The exhibition offers a diverse range of media including painting, drawing, sculpture, photography, mixed media and installation. This collection of work started in 2012 with the Red Ribbon Dress. 'The dress became my new canvas' 2014. It is a collection of the autobiographical, i.e pieces, (dresses) that have been inspired from the beginning of my HIV Positive diagnosis, showing the vulnerability of the Hospital Gown to the later empowering 'Shield Maidens'. It is a journey from where I was in 2002 to where I am now and how I have used that experience. It is a collection celebrating Women that have been great achievers, whether this was in the arts or in political struggles, women that didn't get the same recognition as their male counterparts. Women that through sheer fortitude have left us a wealth of creative masterpieces and information, even if we do sometimes have to dig deep for it. They are all part of 'Herstory' and continue to inspire the work that I do. It is also a collection that raises issues such as the Luxury Tax, the money we pay for necessities i.e female sanitary products and I have made my own 'Luxury Collection' using said products. Also about the effects of Austerity and how many have died due to the cruel work capability assessments and sanctions within the benefits system. It is about social injustice, or maybe it's about injustice all round! The show was first seen in Bristol in 2015. Many more pieces have been added since then and it continues to evolve and grow. Drawn Chorus is a collective of illustrators creating original exhibitions with a twist of something a little special. It all began with 19 illustrators aiming to show original and affordable work with that little something extra. Our shows aim to draw you into our fantastical and unique world and we won't stop until we do! With new, up and coming talent, together, our works create a fabulous, melodic whole. We are the Drawn Chorus!